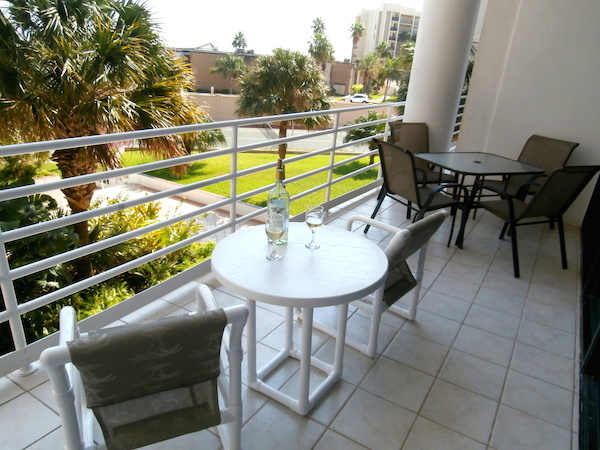 PATIO PARADISE positioned in the treetops with a glimpse of the tennis courts. 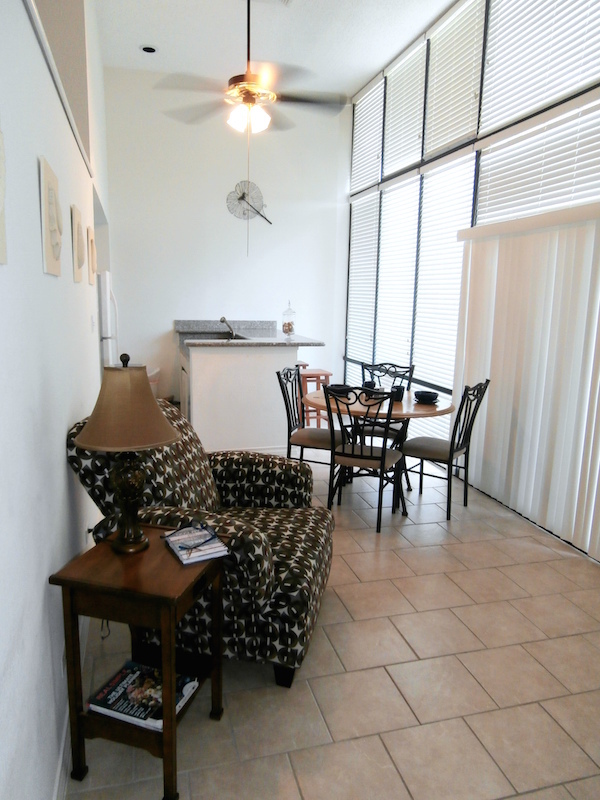 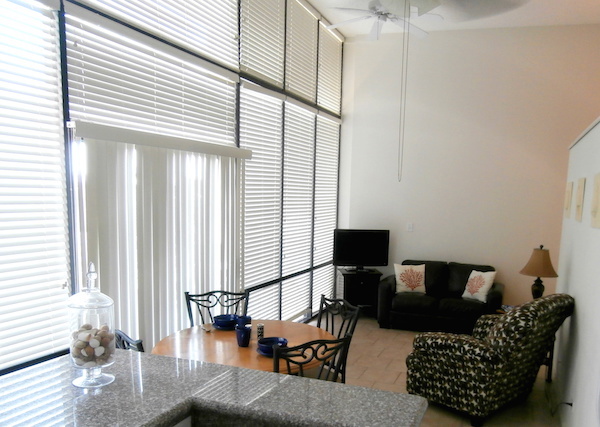 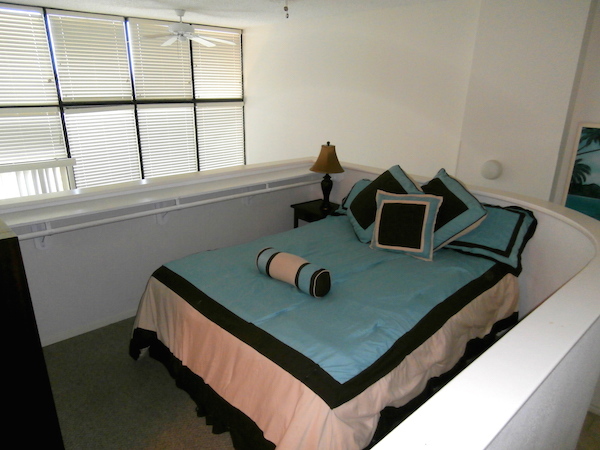 Quaint loft style 1 bedroom condo offers additional dining space on this large patio. 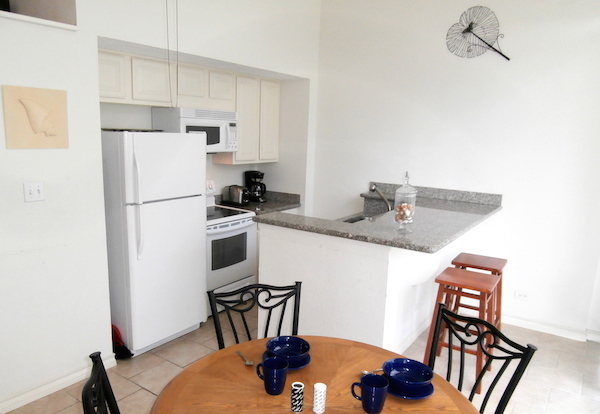 Indoors you’ll find a nice kitchen with big granite island and breakfast bar. 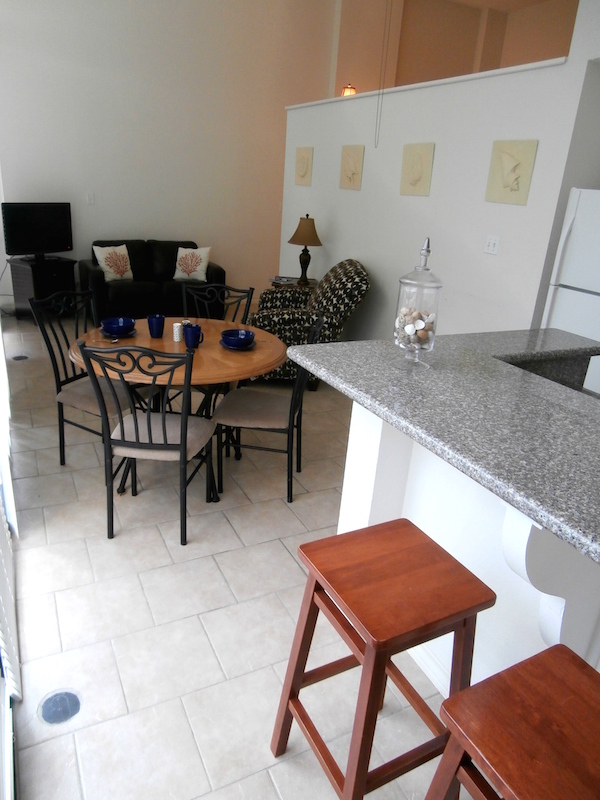 Dining/game table and contemporary furnishings thru-out including flatscreen TVs and more. 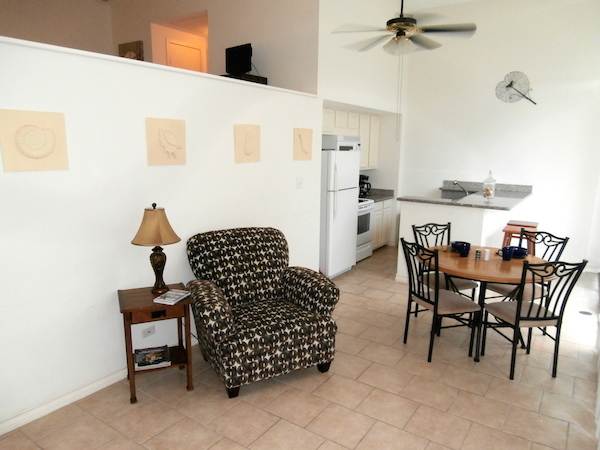 All the conveniences of home right here in your own private beach retreat!